It’s no surprise that many people round the world love to gamble. It’s a great way to release energy, to test your luck and even to put some of your skill to the challenge. And the more that you have the money with which to gamble, the more that you just might enjoy this pastime. It’s fun to think about what celebrities do with their money. Some of them buy a lot of homes, others love to buy fancy cars and some probably go on great trips. We know that some of them enjoying celebrity gambling. Here, we will feature some of those celebrity gamblers and the situations they have been in. 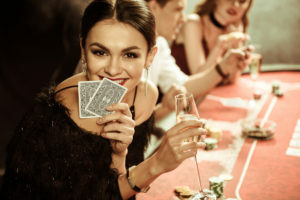 It’s important to remember, however, that no matter how much money you have, you can still get into gambling addiction and that you need to always check yourself and see how you’re doing. Before we begin with the fun stories, it’s interesting to see how gambling addiction is playing out in Australia. IN 2017, there was a very unusual lawsuit launched by a former gambling addict that accused the popular poker machine, Dolphin Treasure, of deceiving players. They said that it was designed to addict users. Soon after that, the Crown Melbourne was hit with some accusation that technicians are the floor had been told to tamper with poker machines to make sure that people lost money. There is certainly room for reform within the gambling industry, but it’s also the responsibility of the individual gambler to pay attention to gambling addiction and to try to make sure it doesn’t happen for him. Jennifer Tilly is another actor who loves to gamble. She actually won the World Series of Poker Ladies bracelet in 2005. In another event she scooped over $150,000. She’s been on the cover of Card Player Magazine and she definitely loves to play. Another of the celebrity casino winners that you may know about is 50 Cent. He has that credo “get rich or die trying” and he certainly follows it with his gambling. He doesn’t bet with pokies or other games, however, but with boxing. He won $1 million in a boxing match between Floyd Mayweather and Oscar de la Hoya. He also won $500,000 when he placed a major bet on an NFC Championship Game that took place in 2012 between the 49ers and the Giants. Other celebrities that enjoy playing include Ben Affleck and Matt Damon. They have both been found having some fun around the tables. Of course, keep in mind that most regular people don’t have as much money to put up as they do – so the chance of winning the massive numbers that they win becomes much less. Nevertheless, it would certainly be a fun site to be at the land based casino and to see one of these celebrity gambling experiences! They certainly play hard and win and lose hard. Something that many of us regular people can’t do, but can enjoy watching and dreaming about.